Review: The Five Stages of Andrew Brawley | "We know not what we may be." "We know not what we may be." Thoughts and works from one who lives only for words, words, words. I picked this up on impulse because I’d heard good things through the Goodreads grapevine. It wasn’t anything like I expected it to be – and I think that ended up being a good thing. Andrew Brawley was supposed to die that night, just like the rest of his family. Now he lives in the hospital, serving food in the cafeteria, hanging out with the nurses, sleeping in a forgotten supply closet. Drew blends in to near invisibility, hiding from his past, his guilt, and those who are trying to find him. His only solace is in the world of the superhero he’s created—Patient F.
Then, one night, Rusty is wheeled into the ER, half his body burned by hateful classmates. Rusty’s agony calls out to Drew like a beacon, pulling them both together though all their pain and grief. In Rusty, Drew sees hope, happiness, and a future for both of them. A future outside of the hospital, and away from their pasts. But to save Rusty, Drew will have to confront Death, and life will have to get worse before it gets better. And by telling the truth about who he really is, Drew risks destroying any chance of a future. Drew feels a sense of guilt for what happened to his family – the details of which aren’t revealed until much, much later in the book. The entire book, except for flashbacks and stories told by the characters, takes place inside the hospital where Drew is a stowaway. Much of the story reminded me of Gayle Foreman’s If I Stay, though Drew’s purgatory is one of his own making. He wants to punish himself – so he does. Life can be hell if he makes it. And along with the self-imposed-purgatory theme, the book also deals with religion in a way that is more complex than most YA novels I’ve seen lately. 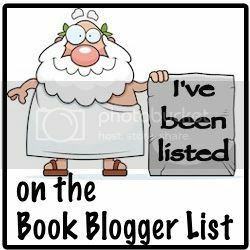 Minor characters also find their time to shine in this book. The ER nurses, the cafeteria cook, the patient that Drew falls for – they all have their own lives that leap off of the page. I don’t quite understand how Hutchinson achieved this effect, of every single character having an entire life and background and story without overpowering the main narrative of the book, but I’m in-freaking-love with it. I also loved the fact that Drew draws a graphic novel throughout the book, the plot of which is intertwined with his own life – and Shaun Hutchinson includes these actual graphic novel pages into the text of his book, usually at the ends of chapters. This added another element to the story that went above and beyond, and I found it extremely compelling. 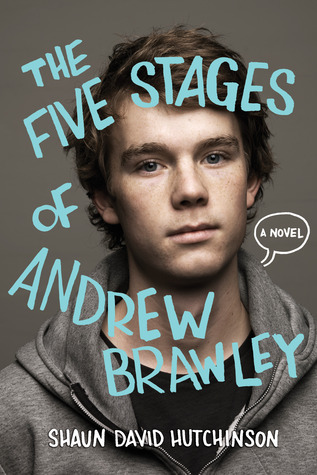 The surprises in The Five Stages of Andrew Brawley kept throwing me for a loop, and though I never fully understood everything (I can’t say much more without giving it away), I think I liked it better that way. The entire book was an emotional read, from cover to cover. I’m giving this four stars, only because I’ve read so many great books lately and I just didn’t connect with this one on the same level. But the story will stay with me, and I definitely recommend it to anyone who is in need of a purging of emotions, because the catharsis is real.